Another batch of photos has just been uploaded, this time courtesy of Ken Taylor, to whom thanks are due. You can see Ken’s photos in the album below. You can also see the full photoset here, including all the photos taken. Another batch of photos has just been uploaded, this time courtesy of Graham Heeley, to whom thanks are due. You can see Graham’s photos in the album below. You can also see the full photoset here, including all the photos taken. Thanks also to the Queen for making a personal appearance at the White Horse! In addition to the photos taken by various people and published here, some panoramic images were also produced. These use Microsoft’s free Photosynth platform and should work in any browser. The above image is shows one of the panoramic images; click to see the full size version on Flickr. 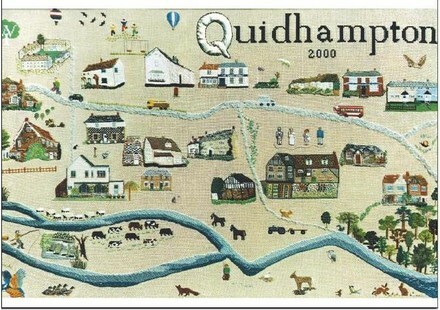 Welcome to the website for Quidhampton Parish Council. It’s still got some way to go but will soon provide your one stop shop to find out everything you need to know about the activities of the council and related topics.